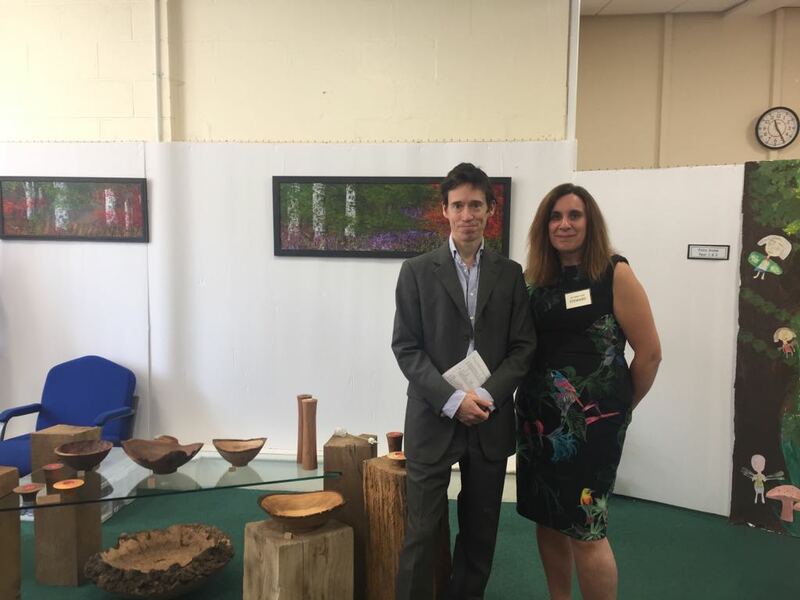 Rory visited Langwathby School’s ‘Art Mart’ weekend to support the annual event, in which the School is transformed into an Art Gallery. Art Mart brings artists from all over Cumbria to showcase their work alongside that of the children from the School. The event, which is in its 23rd year, displays over 320 paintings and works of art which are produced by 40 different artists, from around Cumbria, which are both amateur and professional . The event is put together by a team of volunteers and supported by the whole community. The event raises money for the school’s arts and creativity fund and last year raised £4000. The School uses the money to pay for the children to have visiting artists to the School ranging from clay throwing to felt work. Hazel Feddon, committee member and senior teaching assistant at the School said: “The event started in one room with 20 paintings and has grown to what it is now, there is even a waiting list for artists to be able to join the event. We are really thrilled to have ex-students exhibiting their work. This really shows how the funds have helped our children to find their passion for art”. Rory enjoyed a relaxing walk around the event, discussing art with other visitors and exhibiting artists. Rory especially enjoyed the Special Exhibition room which this year housed a ‘Wood Themed Exhibition’ which displayed various artists work and also woodwork created by the children of Langwathby School. On leaving the event Rory said: “what a fantastic demonstration of a community coming together to support their local School. Not only does it show community spirit, but a strong desire to ensure their children have a chance to develop their own skills though creation. This event is truly inspirational, and I hope it continues to go from strength to strength”.